Master Tran Tam, or currently known as Master Ruma, was born in a family embracing traditional Buddhism in Vietnam in a painful historical period of the country. His parents were hard-working labourers, who tried their best, in the troubling times, to preserve moral disciplines and family traditions and bring up their children. It is his maternal grandfather who had the most influence on him and his goals of life. The grandfather was not only a religious practitioner always preserving Buddhist ethical disciplines but also a martial arts instructor of knightly virtue. He gave the Master first lessons about bravery, compassion and humanity. Before passing away, he told his descendants not to dent things he had been creating and defending. Up to now, the Master has never forgotten his grandpa’s last will and constantly follows his example in maintaining lifestyle, morality and mutual love and worshipping Buddha - Bodhisattva. As a child, he was so broken-hearted to witness his compatriots being slaughtered in cold blood in the wartime and suffering hopelessly from horrible woes. The dull pain made Him a reticent boy, hiding His feeling all the time. Nevertheless, His relatives, friends and teachers all loved Him, a good-natured, compassionate and helpful boy. His childhood intimate was the sister who is just a few years older than Him. She constantly comforted Him whenever He was sad and was asked such baffling questions as “Who am I? Where am I from? Why do human beings exist in this world? Why is there human misery? Why don’t they love each other? Why do human beings die after arriving in this world? Where will they be after death?” Such questions are too challenging for a little boy to answer. At the age of 12, Master Ruma left Vietnam for the United States in an unfortunate across-the-ocean voyage. In the open sea, he again had to witness brutal robberies and killings. Having no way around to escape from extreme misery and fright, all the survivors resorted to praying under their breath for Buddha and Bodhisattva’s help. Too frightened and thirsty, he fainted in those moving prayers. In his dream, he met Bodhisattva, surrounded with bright halo. Bodhisattva came to him to protect him and fed him with drops of ambrosia. Recovering consciousness, he still felt her deep love and upon arrival, it was surprising that His thirst was quenched naturally. No sooner had he rejoiced than another pain came: the sister died. His little heart could not stand such extreme pain. Much later, whenever thinking of it, he still felt his heart aching. From then on, he has been resolved to practice vegetarianism and His ambition to seek for release way emerged vehemently. At high school in Massachusset, He wrote many articles and poems on vegetarianism and practice ideals such as “Human beings should be on vegetarian diets” and “Searching for freedom way”, drawing His teachers and friends’ attention. It was because He was the only Vietnamese in his school. Also, he was young, good-natured, vegetarian and much more grown-up than His peers. At weekends, he used to perform good deeds at a nearby pagoda. His teachers and friends at high school and disciples at the pagoda all loved him for his industriousness, self-respect and extraordinary nature. They often covertly called him “the Great Venerable Master” although His mother did not like it. Her motherhood gave her a feeling that sooner or later He would be far away from her since He would run at the call of His heart. The more grown-up he became year by year, the more clearly he knew that no matter where human beings reside, no matter what blood origin and race they belong to, they share common woes. Meeting with people from different social classes enabled him to realize that not only the poor but the affluent had utmost misery and deadlock. From His poems during the period, there, surprisingly, was no room for pessimism and hatred deep inside the boy Tran Tam’s heart even though he had to experience loneliness and disappointment and witness brutal killings. On the contrary, his soul was full of compassion and sympathy for unlucky people in this impermanent life. He did everything possible to help those in trouble with all of the knowledge and ability of an adolescent then. Although he himself had a comfortable life in all aspects, he was willing to do any kind of job to improve His income so as to alleviate others’ difficulties. After school, he industriously did such kinds of jobs as growing cabbages, washing dishes, cleaning or taking care of rich families’ stables. The earned money was spent on philanthropic work or aids to natural disaster-struck areas like the Philippines, Hong Kong, Singapore, Malaysia, Vietnam, etc. The small remaining chunk was for His independent practice life as he did not want to ask for help from His family with deep belief that asceticism would enable him to find the Knowledge of Truth soon to save all beings from misery. Familiar with the two major religions, Buddhism and Catholicism, from childhood, he had favourable conditions to study their tenets. As a result, he came to know that the Knowledgeable Masters of the past like Sakyamuni Buddha and Jesus discovered the same Knowledge of Truth and taught the same lessons. It is the method of Sound and Light, calling for human souls to return to their old house and God to get out of the birth-death cycle for good. But where is the Knowledge of Truth? His wisdom brought him to a conclusion that: Misery did not result in enlightenment, the Knowledge of Truth described in Buddhist books could not be found in them. Only a competent Master could show him the religious way, the path to the Knowledge of Truth that the two Masters left in their tenets. - All of us are God’s children and arrived in this world with desires to have good souls and to bring His noble Knowledge of Truth to the world. - Because human beings get lost in their life illusion and run after money, fame and wealth, they are increasingly far away from God and forget their good nature (Buddha Nature and soul); thus, have to suffer from great affliction and always attempt to harm each other. - The roots of all misery are not outside but inside us. To get away from them, we have to look inward to recognize them. The Quan Yin method is the only panacea able to cure this terrible disease. It leads human soul to the sacred world where there is only God, Buddha and Bodhisattva’s love. - This tremendous love will erase all greed, hatred, misery and fright. Human beings will live in the ocean of love thanks to their mysterious Quan Yin method. It helps them purify their physical body and mentality and progress on the spiritual path back to God. He did not want to leave his reverend teacher but had to return home because the citizenship law did not allow those under the adult age to leave their family. In the United States, He completed his studies while quietly practicing the Quan Yin method and never forgot the days when he had a chance to practice with the Indian teacher. He just expected the end of the school year to follow the call of His ideals. At the age of 18, despite obstacles, he decided to leave his family to become a Buddhist monk. His parents could not understand why their son felt indifferent to the affluent life he had. Neither could his teachers and friends. He stopped his education despite a bright future ahead. Only God knew and agreed with the way he had chosen. He travelled many places, overcame numerous challenges and difficulties, learnt tenets and practiced with many knowledgeable Masters in the West and East Asia and with many friendly religions and meditation groups worldwide. The more he practiced and discovered from experience, the more clearly he was aware of the miracle of the Light and Sound Meditation method, the only method that can save human souls from ties to the material world and find and kill the roots of all beings’ misery. The closer He got to the light of the Knowledge of Truth, the more determined to reach its utmost He became. During this period also, he faced scores of challenges. In practice groups, there was much argument over the matter of practice and religious conflicts. On the way to reach the utmost of the Knowledge of Truth, he increasingly realized the impermanence of human life, even in groups of religious figures in Buddhism. Human beings become farther and farther away from the Knowledge of Truth as there are more and more religious conflicts and arguments. He himself just desired for the Truth but the more he wanted to protect it, the more obstacles, isolation and painful lessons he got. God did deprive him of his practice ideals. In such challenging times, his fellow-students also prevented Him from seeing his old Teacher again. Feeling extremely lonely, disappointed and discouraged and having no other way to go, he returned to India to look for His old Teacher with the aim of realising his dream of meeting the teacher again and seeking for a support during those difficulties. But he could not find the Teacher despite going to many places in India. Without any ideas of where to go, he stayed in the Himalayans to practice, wishing to meet the Teacher but the dream never came true. After that, he returned to the United States, got married and lived at home. With the Light and Sound method in hand, he continued his quiet meditation, hoping to find the peace of life. However, he felt extremely wretched in his mind because he could not break with his noble ideals while the path to the Truth was still far-away. Moreover, pressures and challenges from his fellow-students carried on troubling him. At last, he and his family decided to lead a secluded life in a village in Florida. Having experienced ups and downs, he clearly understood that the happiness of human life is merely the happiness of impermanence. Sakyamuni Buddha once left his well-to-do life to seek for the Knowledge of Truth. However wealthy people are, they cannot reach the perfection and free themselves from the cycle of birth and death. He had wasted too much time living the human life. It was the most valuable lesson in His practice life. With strong determination and extraordinary stamina, he left all the bitterness and sorrow behind to return to the Himalayans with a view to discover the utmost of the Knowledge of Truth and his life goals. It was a turning point in Master Ruma’s practice life. The rat race of human life cannot invade the grand Himalayans with year-long snow-covered mounts. Having overcome all the severity of nature, challenges of time with great patience, God eventually responded to his desire. He met five great old Indian Masters who secluded themselves for years in unfrequented areas to conserve the precious methods of the universe and the love message of God. Only those sincerely longing for the Knowledge of Truth could had a chance to meet them. The Master understood that all of his misery until then was the consequences of human karmas and the ignorance of all beings. It is such things that prevent them from love and the Knowledge of Truth. Human beings pray for happiness but do not know how genuine happiness is and how to reach and hold it. They are forlorn and forget their noble Buddha Nature, thus, God had to request enlightened persons to bring them the Knowledge of Truth and wake them up, freeing them from the dull ignorance. Appreciating the noble sacrifice of the Indian Masters, whose egos no longer existed and lives were just for all beings’ happiness, He decided to practice with them for a long time and the light of the Knowledge of Truth did come to him. The Quan Yin method, the God’s Holy, had been leading Him through the limit of space, time and causality to fall in line with the great love of Buddha. The more he meditated, the more noble experience he obtained and the more he saw the miracle of the method, which the knowledgeable Masters in the past had eternally been practicing and reach the peak of the Path to show human beings the liberation way. Exploring the Knowledge of Truth in the Himalayans, Hh came to know that the difficulties God had created so far did help Him progress spiritually and recognize all beings’ great karmas, their permanent ignorance and the importance of the light of the Knowledge of Truth for mankind. The Indian Masters placed their entire belief in Him who would bring the love of God and the method of Quan Yin to all beings. It is the only way to rescue humans from misery and the cycle of birth and death. Bidding farewell to his teacher and taking noble mission, he returned to the human life. Having discussed with His family, he began a liberal private life in order to spend more time for his country and the world and continue the ideals of bringing the noble method of the universe to mankind. He lives and practices modestly and still fulfils his family duties. Furthermore, he is the spiritual father of his children. They are young but understand their dad’s mission; therefore, they are self-reliant and never feel he is away though he often travels for many days in his own world. A part of his income is for his family and the rest is for supporting natural disaster-hit areas and his disciples’ studies. After each trip, he comes back to the United States to continue practicing. He usually says that he has a normal life and did endure human hardship and ordeal like everyone else. He also tripped and fell, felt wretched and disappointed and had the same feeling as other people. Having undergone ups and downs as an ordinary person and then a Buddhist monk, he understood a practitioner’s worries and feelings on the path to the Great Wisdom. Despite living a modest and private life, he usually receives lecture requests from people longing for love and life release from everywhere. The Master always delightedly shares his Knowledge of Truth with all coming to Him regardless of social positions, education backgrounds, beliefs and religions. The Master neither set up new religions nor interfered with current religions in the knowledge that the pinnacle of religion is unique. It is the dharma that enables humans to integrate into the sacred Light and Sound method flow of the universe and helps their souls get out of desire and temptation, put an end to misery, reach the Nirvana right in the human world, come back to the Heavenly Kingdom and permanently break away from the three world cycle. In the past, a knowledgeable Master taught his disciples the method of Light and Sound Meditation as long as they had overcome scores of severe difficulties. These days, anyone faithfully wishing for the Dharma and believing in a Master can have such opportunity. This is a very great favour that God presented humankind in this century. Following the way shown by a great living Master – the meditation of Sound and Light, we will have our presence and soul taken care of by Him forever and until we reach the Truth, the Virtue and the Beauty like lotus retaining its fragrance and beauty in spite of growing in mud. Then, we would live a meaningful life. Wars and natural disasters will be things of the past; meanwhile, peace and love will be things of immortality in people’s life. He often says to his disciples that He was very proud to be a Vietnamese and would spend the rest of his life bringing the light the Knowledge of Truth together with the universal love to people in the world, including those in Vietnam, his home country. His lectures on the Knowledge of Truth in Vietnamese were translated into many languages throughout the world. 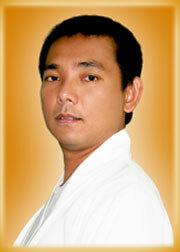 Master Ruma’s teaching is full of love and sympathy. With his great wisdom, he helps us discover the mysteries of the universe by practicing the Light and Sound Meditation method no matter who we are. All of the scientific achievements gained by human beings are just the reflections of our potentials. Only by complying with Buddhist rules under the instruction of a living Master and practicing the ight and Sound Meditation method can human beings discover their unlimited power. He suggests that we should look inward, test those great capabilities by ourselves and receive the support together with the immense love of God, Buddha and Bodhisattva. He shows us the way to the beautiful spiritual world which is the origin of our souls, the place we are nourished by the Halo and the Sage Sound of the universe and the place misery and fear for unseen forces no longer exists. - Bring tremendous love, internal beauty, eternal happiness and values of the Truth, the Virtue and the Beauty to mankind and the world. - Appreciate every second, every minute while we are alive in this world because all the misery and misfortune are valuable spiritual lessons, helping us progress on the way to the peak of enlightenment.